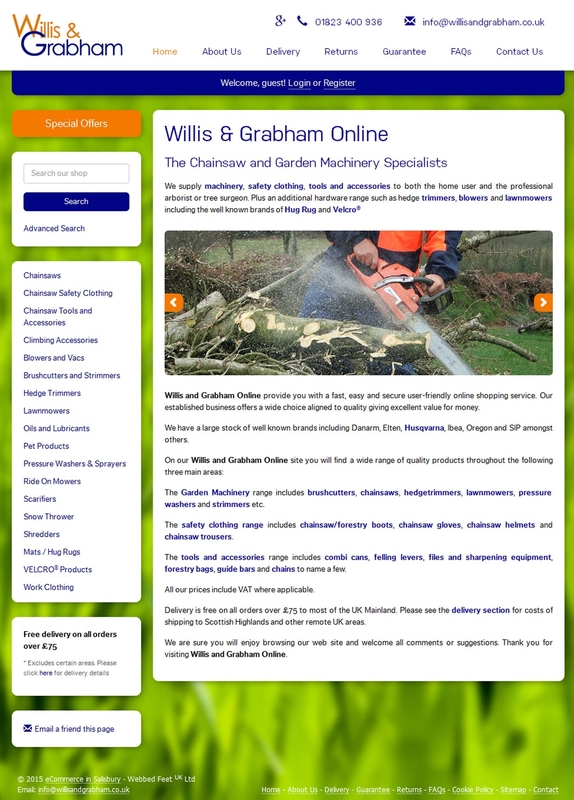 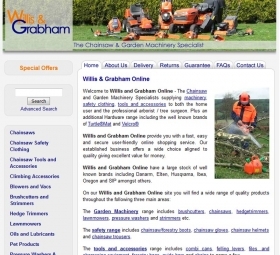 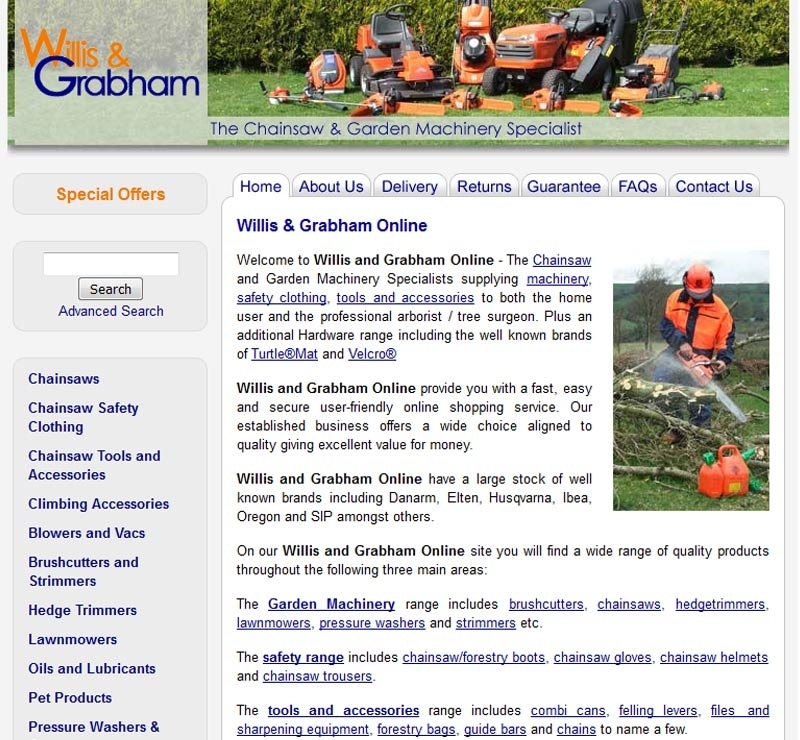 Willis & Grabham is a chainsaw and garden machinery supplier in south England and a long-time client of Webbed Feet UK. 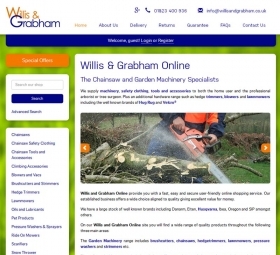 They wanted to spruce up the design of their online shop to bring it up more up to date for their customers. 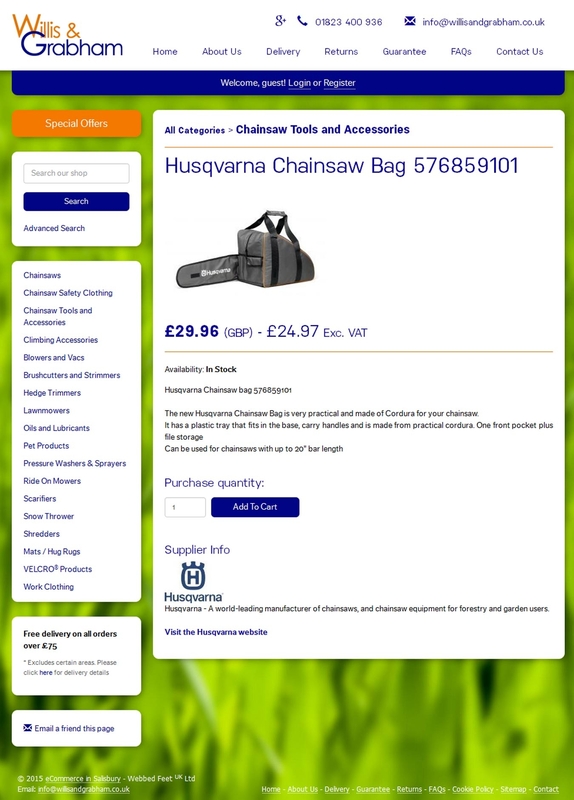 We came up with a design for a reskin of the website, keeping all of the same functionality and ecommerce platform, but with a new look. 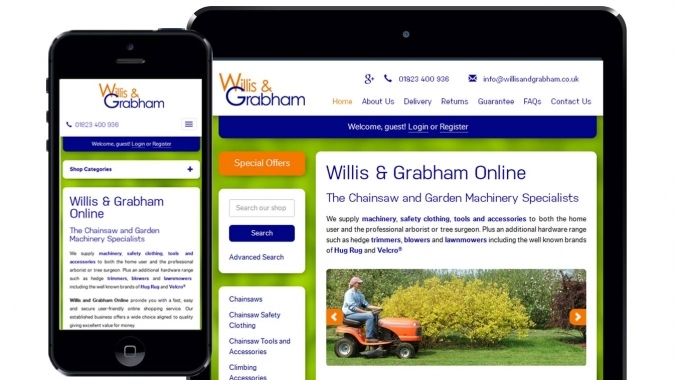 The general layout structure of the website was kept similar so previous customers would be able to navigate throughout the website as they have done before but overall look and feel of the website is much more vibrant than before. 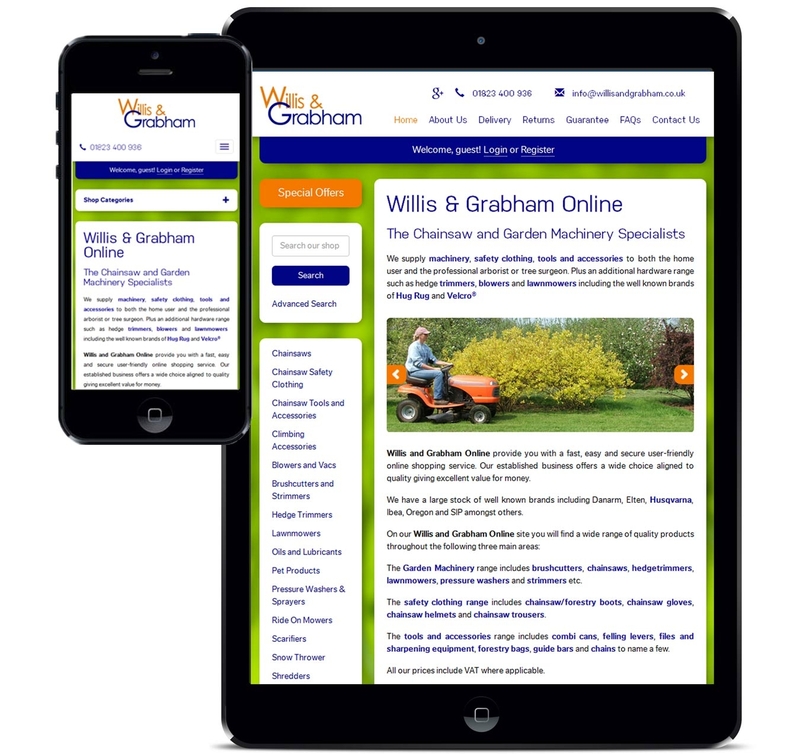 Our redesign improved traffic flow to the important pages with a high sale conversion rateMaking the new design wider accommodates to the change in desktop displays over the years. 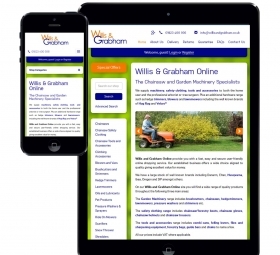 Even the smallest of monitors are larger than most from just five years ago, so new website designs need to accommodate this. Something we noticed after launching the new site design was the flow of users through the website when starting at the homepage. 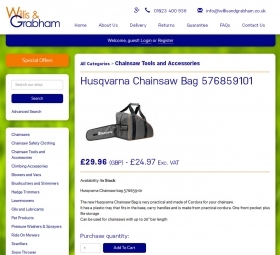 The most important pages on the site are the category and product pages as these relate closely to sales. 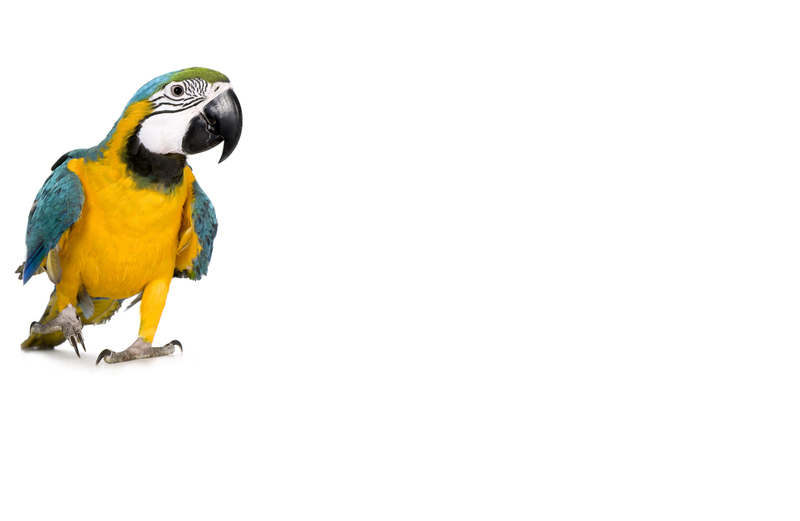 With the new design, Google Analytics showed us the majority of user’s next page was a page under either of these categories.